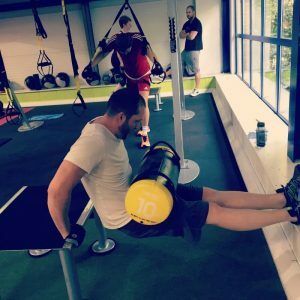 At MaxBHPfitness we’re committed to finding the best exercise equipment for home use or also to take along and use in gyms. I’m James and a qualified Personal Trainer and spend my days at the gym but also like to have a good amount available to use at home when the urge strikes me! Why MaxBHPFitness? Well, even though I’m a fitness nut, I’m also mad about cars so if I’m not talking about one I’m talking about the other! I’m helped here on this website by my lovely wife Kirsty who does all the proof reading for me (my spelling is awful) and lends a feminine viewpoint! If you need to contact me please email James@maxbhpfitness.com or leave me a comment!